Audio/Video (AV) systems and Information Technology (IT) have collided. IT is being leveraged to create compelling networked media and file-based workflows. Video Systems in an IT Environment has helped thousands of professionals in broadcast, post and other media disciplines to understand the key aspects the AV/IT "tapeless" convergence. World-renowned educator and speaker Al Kovalick adds his conversational and witty style to this text making the book an enjoyable learning experience. 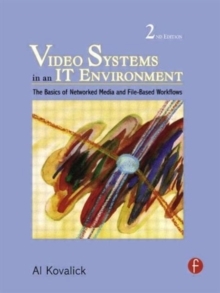 Now in its second edition, this book includes: basics of networked media, storage systems for AV, MXF and other file formats, Web services and SOA, software platforms, 14 methods for high availability design, element management, security, AV technology, transition issues, real-world case studies and much more. 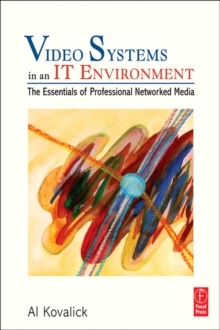 Each chapter weaves together IT and AV techniques providing the reader with actionable information on the issues, best practices, processes and principles of seamless AV/IT systems integration.